Edith was born in Marshalltown on October 29, 1921, to Harold and Alice (Baxter) Weller. She graduated from Marshalltown High School on June 1, 1939, and went on to graduate from Marshalltown Community College in 1941. On September 21, 1941, Edith was united in marriage to Donald V. Andrews at Central Christian Church. Together they were blessed with four children. Edith was a devoted mother and homemaker who enjoyed bowling and working alongside her husband, Don, on their century old family farm. 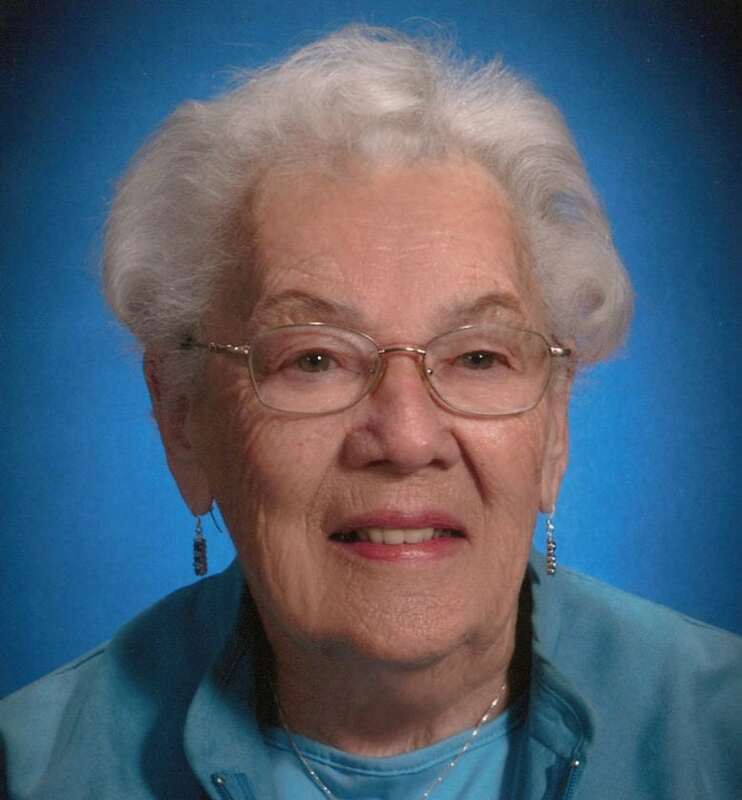 She was a longtime member of Central Christian Church and took part in Merry Mixers and Christian Women’s Fellowship. Edith is survived by three children: David (Sandy) Andrews, of Ames, IA, John (Sherri) Andrews, of Marshalltown, Judy (Mike) Shultz, of Mankato, MN; a daughter-in-law, Jean Andrews, of Oceanside, CA; nine grandchildren: Amy (Mike) Webber, Allyson (Justin) Stege, Katie (Duncan) Anderson, Emily (Jesus) Zambrano, Sarah Andrews, Shane (Lindsay) Andrews, Kyle Andrews, Joshua (Joanna) Shultz and Ben (Amanda) Shultz; eight great grandchildren, and four daughter-like nieces. She was preceded in death by her husband, a son, William Andrews; her parents and her brother, Mahlon “Bud” Weller.